Homeowners are happy to get creative with the rest of the house, reserving the bathroom for business only. Wink wink. Ditch the idea of sterile and strictly functional bathrooms, and think of the space as an alternative area for lounging, getting pretty, and even interaction. Don’t resign to boring designs just because you have a small bathroom. 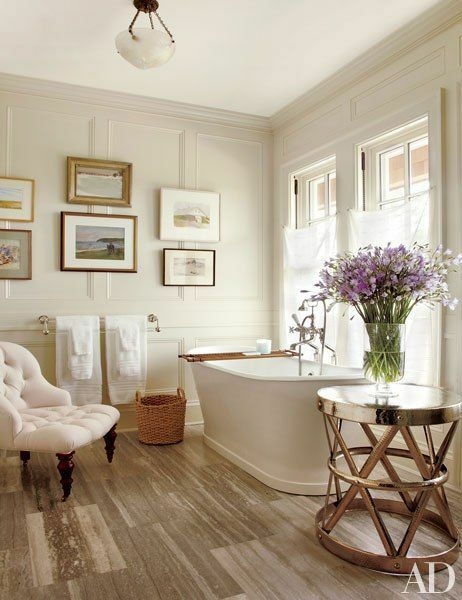 If you can’t get fancy with a bathtub, double sink, or window seat, then have fun with your walls and floors! 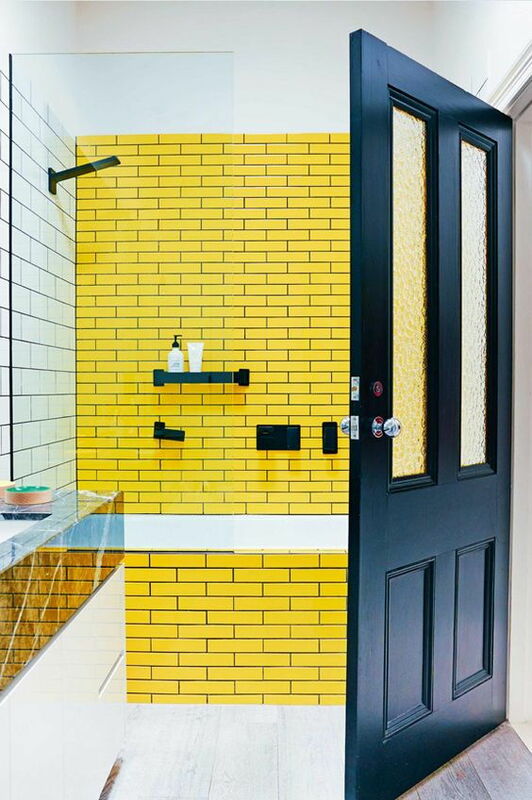 Forget plain white walls and try unconventional colours like hot pink or bright yellow. 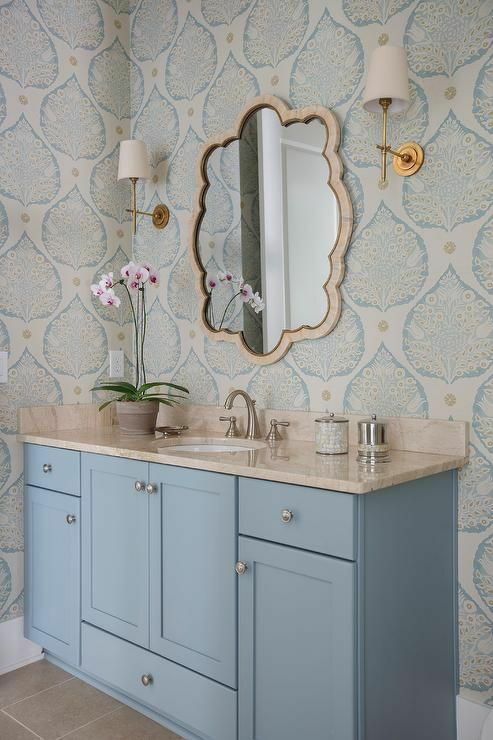 If colour is too much for you, try a patterned wallpaper in more subdued colours! 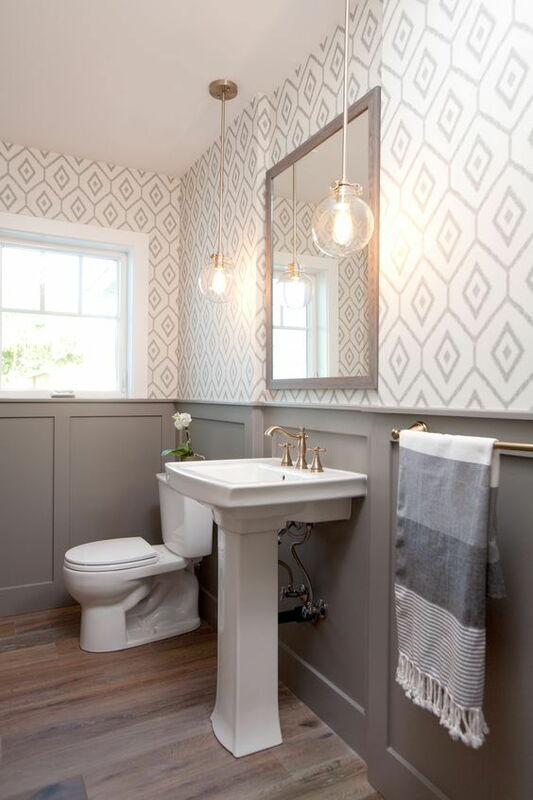 Balance colour and pattern by opting for a single feature wall, focusing the colour or pattern on the other half of a wainscot panel. 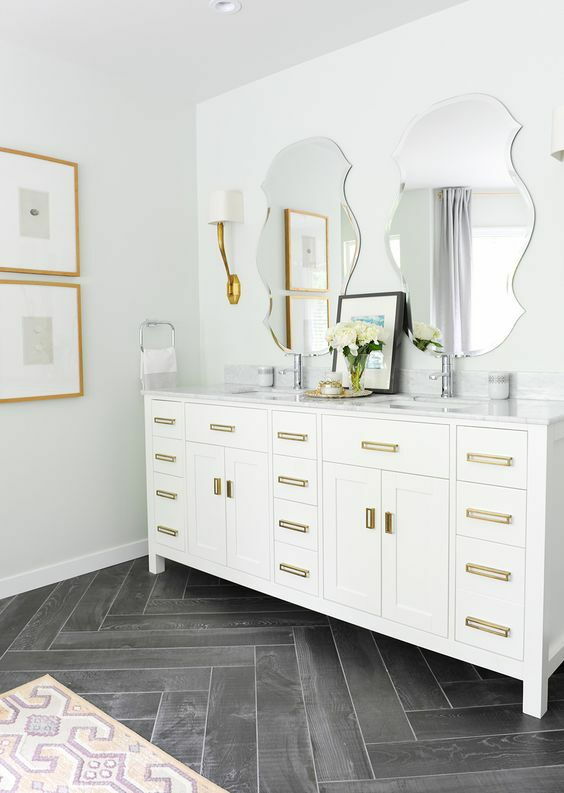 Alternatively, keep your walls bare and designate drama to the floors via patterned tiles or marbles/wood cut into interesting shapes, or even arranged to form unconventional floor patterns. The word chandelier evokes visuals of vintage, grandiose crystal lighting, but chandeliers have evolved past that and into contemporary interiors. 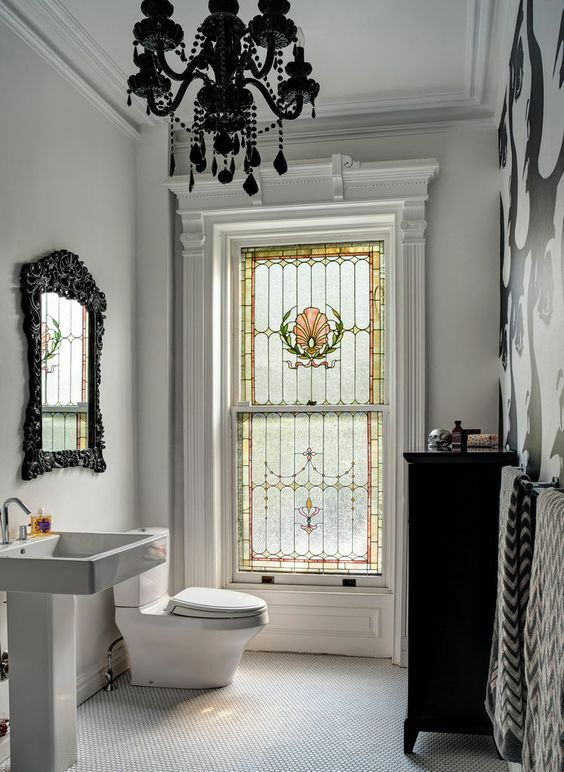 A well-chosen chandelier gives the bathroom a much needed focal point, distracting the eye from necessary uglies like the toilet bowl and shower head. Look for a chandelier that’s proportionate to the size and height of your bathroom. 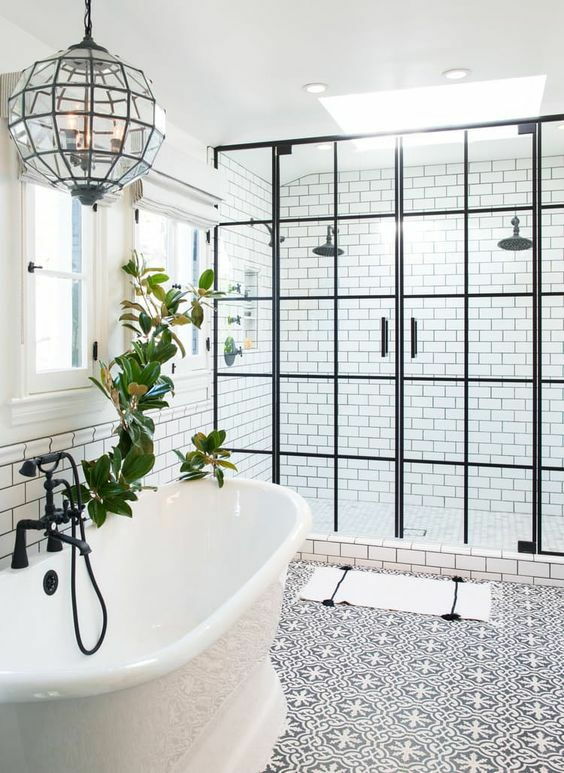 A longer chandelier will offset a high-ceilinged bathroom, adding a cosy feeling to the space. 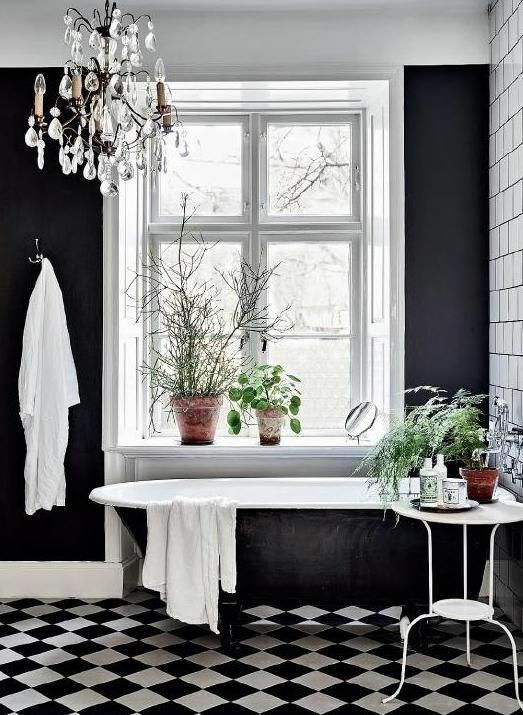 A dark bathroom relying on artificial lighting adds to its sterile vibes. Add large windows to welcoming natural light and lift the mood of the space. 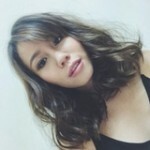 This is extra important for those who use the bathroom mirror as a vanity mirror, for precise makeup application. The windows are another opportunity for design. Choose large panel windows for an airy and modern interior or stained glass panes for a vintage nod. 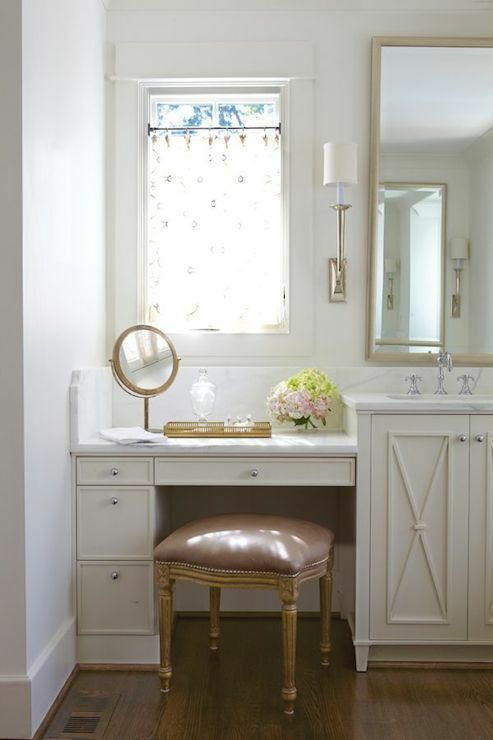 If you have real estate for it, allocate a small corner for a “powder room”, seating, and an overall dry area. Use the area to apply makeup, spritz perfume, or flip through magazines while your face mask takes effect. Adding this area to the bathroom shifts the bathroom away from “strictly business” to a place for self-pampering and lounging. 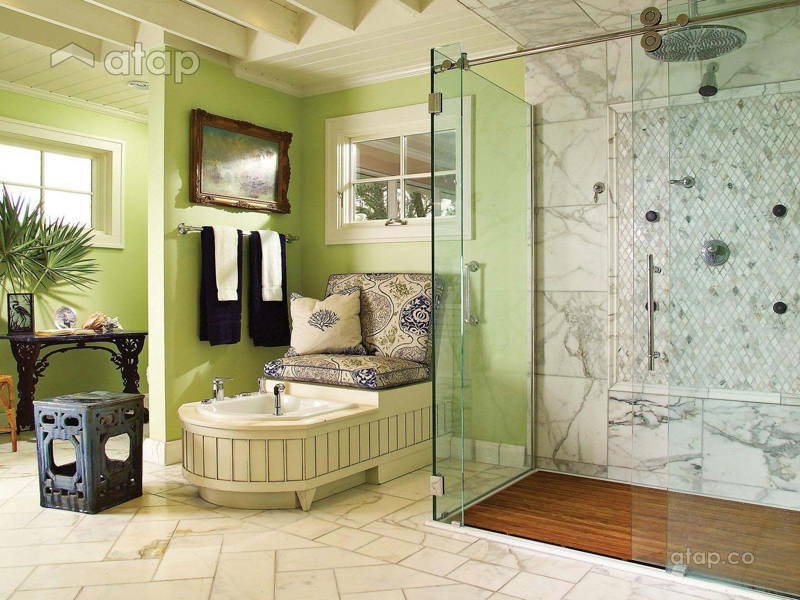 Bathrooms often feel cold because they actually are – tiles and porcelain are cold to the touch. 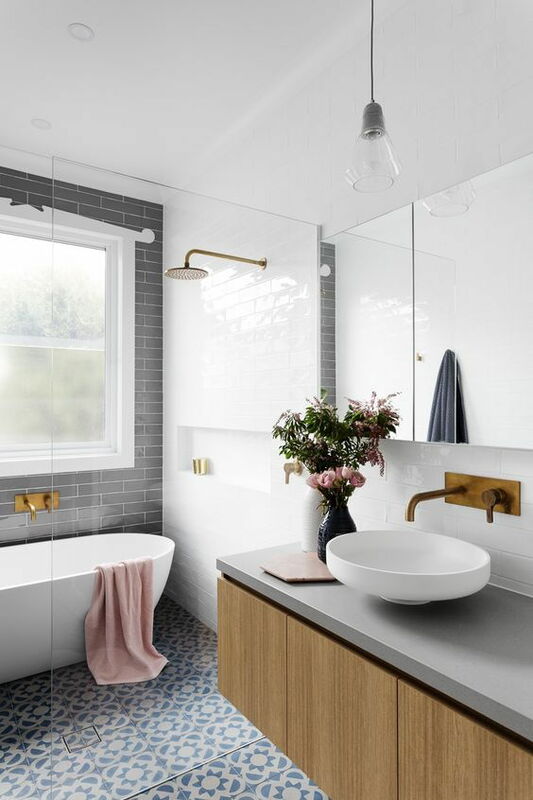 Add softer, organic, and lush textures to the bathroom like velvet seats, wooden mirrors or countertops, and even plants! 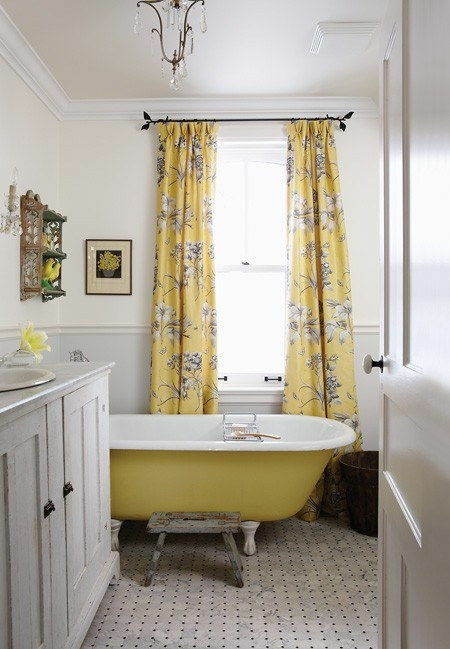 Besides display towels or rugs that might get in the way of water, add a curtain with a pop or colour, or one that blends with the bathroom’s colour scheme.